There is nothing better than a hair mask that actually makes a difference to the hair. This product does exactly that. Let’s get into the Aussie 3 Minute Miracle Reconstructor Review! With a thick texture that you would expect from a deep conditioner it was clear to see that this would not be like the other deep conditioners that I have tried. I like that this product stays in the hair once applied, and does not start to slip off, but it is still easily washed off. I love the packaging of this. It is much easier than using a tub, since there is no faffing with unscrewing the lid and trying to get it back on. Instead it is in a tube, that has a hole in the bottom. It does not allow any product to get out or any water to get in without pressure being on the bottle. The smell of this product is also amazing and will last a while on the hair, which is always nice, as it is such a shame when a product has a gorgeous smell, but does not last very long. Priced at £4.99 for a 250ml bottle. It is fair to say that this product is worth it, as this has lasted me a very long time. After three minutes this product has definitely had enough time to work through the hair to strengthen and add moisture. It could be left on for longer to have a larger effect if desired. After using this product for a while I have noticed my hair turn glossy and healthy. I know that if I use heat on my hair, this product will help to restore my hair. That was my Aussie 3 Minute Miracle Reconstructor Review! 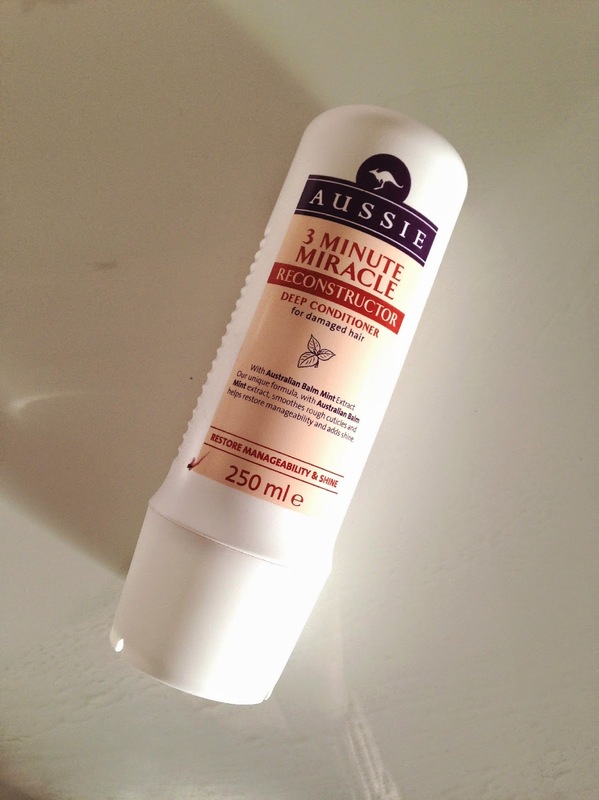 I also love the Aussie Miracle Moist range, which I use with this. Urban Decay Naked Heat Review! Blogmas Day 16: My First Kiko Haul!